Just saw that Michele Carey has passed away. 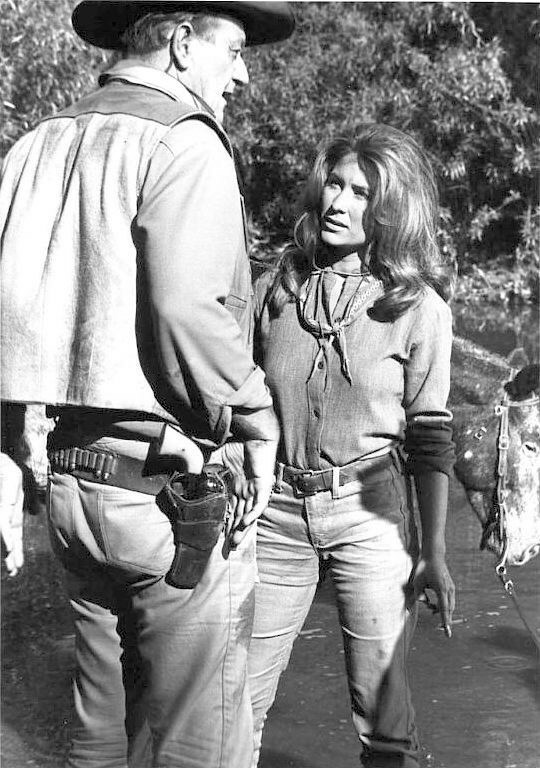 She didn’t make many movies, but when you’ve worked with John Wayne, Howard Hawks and Robert Mitchum (El Dorado, 1967) and Elvis (Live A Little, Love A Little, 1968), not to mention Frank Sinatra (Dirty Dingus Magee, 1970) — what else do you need? Oh, and then there’s How To Stuff A Wild Bikini (1965). She’s terrific in El Dorado — everyone is. She holds her own up against some real heavyweights, in a movie that relied on Hawks’ typical rambling, improvisational tone. That’s no small task. Screening: The ’68 Comeback Special. It’s been 50 years since Elvis made his stunning “Comeback Special” — a long, long way from the Christmas special that was the original plan. If you haven’t seen it, I feel sorry for ya. But all is not lost. It’s being shown in theaters to mark the anniversary. Click the King to find out more. Elvis’ drummer D.J. Fontana has passed away at 87. He was the last of the Blue Moon Boys. 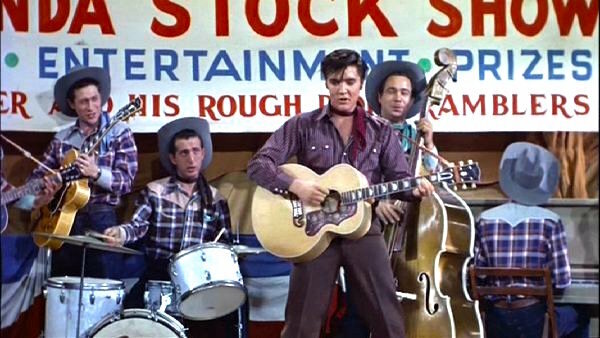 Here’s (above, L-R) Scotty Moore, D.J., Elvis and Bill Black in Loving You (1957), Elvis’ second movie — and certainly one of his best. To see these guys tearing it up in Technicolor and VistaVision (shot by the great Charles Lang, Jr.) is really something to behold. Elvis even drives a really cool 1929 Ford hot rod (mounted on a ’32 frame). This movie’s got everything. Blu-Ray News #81: The TAMI Show (1964)/The Big TNT Show (1966). Shout Factory has announced a twin-bill Blu-Ray of two of the greatest concert films ever made: The T.A.M.I. 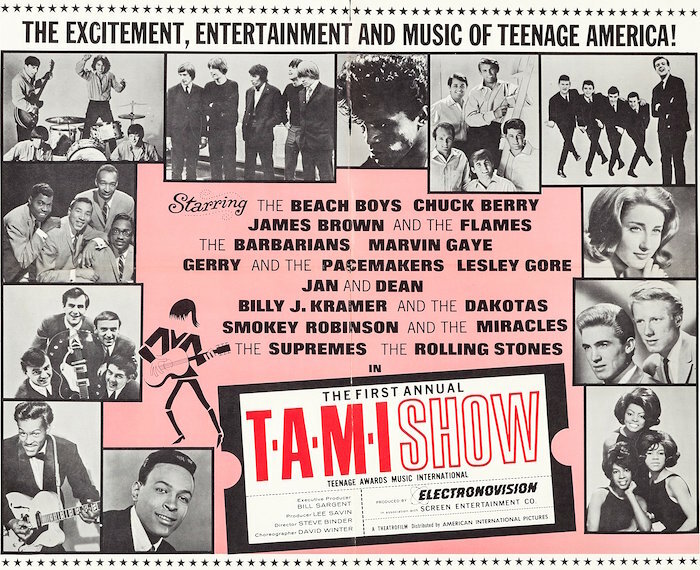 Show (1964) and The Big T.N.T. Show (1966). Both were shot on videotape and transferred to 35mm for theatrical release by American International. In the 50s and 60s, AIP really had the teenager scene locked down, didn’t they? The T.A.M.I. Show features The Beach Boys (whose performance was edited out for years), Chuck Berry, James Brown, The Rolling Stones, The Supremes and Jan And Dean (who emcee the event). 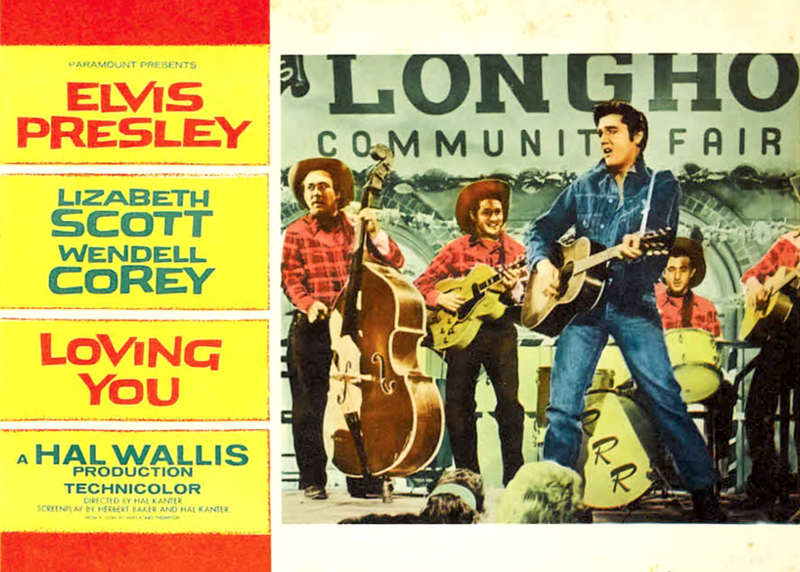 It was directed by Steve Binder, who also gave us Elvis’ ’68 Comeback Special. 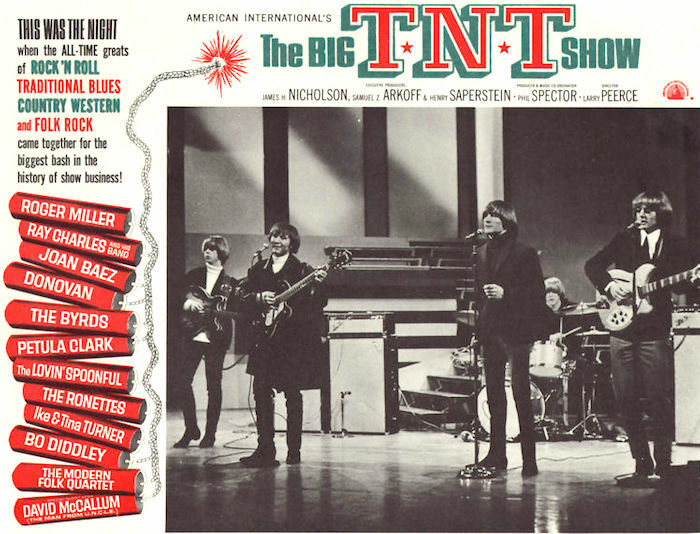 1966’s The Big T.N.T. Show follows the same basic format as The T.A.M.I. Show. Some say the lineup of acts isn’t as good as the first film, but with The Byrds, Roger Miller, Ray Charles and Bo Diddley on hand, I ain’t complaining. Oh, and Frank Zappa can be spotted in the audience! I’ve always been impressed by how good these look, given they began as 1960s videotape, and am looking forward to the Blu-Ray. Essential stuff. 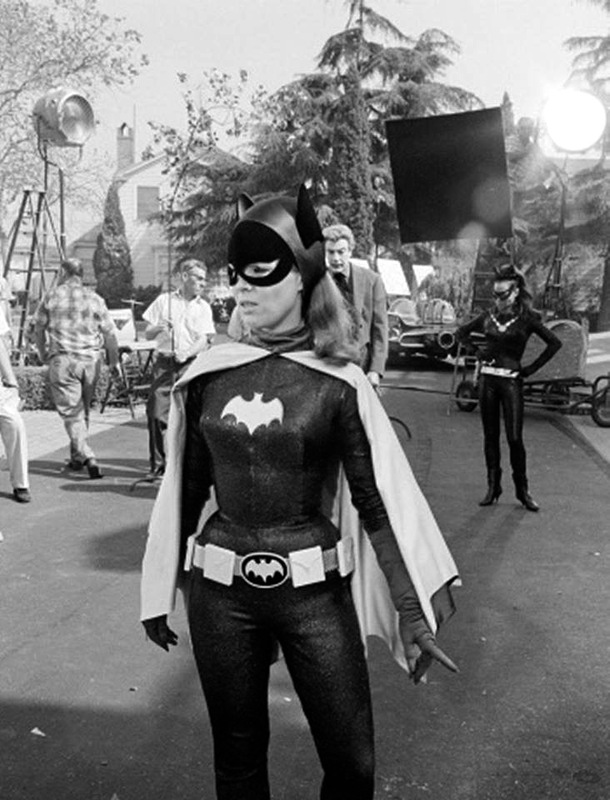 Yvonne Craig, who was so cool as Batgirl in the Batman TV show’s third season, has passed away. She was also in a couple Elvis movies (It Happened At The World’s Fair and Kissin’ Cousins) and Our Man Flint (1966) — along with episodes of The Man From UNCLE and Star Trek. She pretty much had 1960s popular culture wrapped up. You can see her here on the Batman set, with Cesar Romero as the Joker and Eartha Kitt as Catwoman behind her. The Batmobile’s back there, too.